Winner of the Elixir Press 2016 Fiction Award. 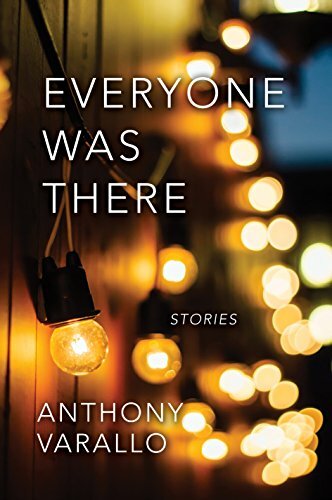 Anthony Varallo's EVERYONE WAS THERE is a short story collection of enormous originality and humor. Christine Sneed had this to say about it: "In so many of these stories, Anthony Varallo does something both rare and wonderful: he manages to be both funny and profound. Here you'll meet the life of the party who's secretly miserable and reconnect with the popular kids you knew in high school who now find themselves stalled out in melancholy middle age, their children and the world seemingly uninterested in them. Varallo is a master at characterization—his misfits and lonely divorced fathers, his vivid adolescents and tongue-in-cheek John Updike cameo—there is so much here that I admired and enjoyed." Anthony Varallo is the author of This Day in History, winner of the John Simmons Short Fiction Award; Out Loud, winner of the Drue Heinz Literature Prize; Think of Me and I'll Know (Northwestern University Press/TriQuarterly Books) and EVERYONE WAS THERE (Elixir Press, 2017). Currently he is an Associate Professor of English at the College of Charleston, where he is the fiction editor of Crazyhorse.